I have never called my father “Daddy” or “Dad”. It has always been “Dada” and would you believe it, sometimes “Father” to be emphatic. I have always been Daddy’s little princess and I learnt from a young age what a blessing that could be. Unfortunately, I don’t remember much of my time as a baby but a popular dinner table family story was that of my trips to the babysitter. My dad would carry me, my tiffin and little Raggie (my favourite doll) through the entire 15 minute walk to the place. And help him if he forgot Raggie! He would need to walk back to get her –that’s how much he indulged and spoiled his princess. If that wasn’t enough, as I grew older, his affection and protectiveness just grew further. Like most girls, I’ve had a craze for shoes from a young age. The minute I stepped into a shoe shop, I wanted to walk out of there with a shopping bag in hand! In my great fear of leaving the shop without a pair of shoes, I would claim that every shoe fit despite my dad assuring me that we would buy the shoes (I was young and didn’t know better ;)). To make sure I was comfortable in the shoes I insisted on buying, my dad would bend down and feel the toe of every shoe I tried just to check if it was too tight or not. My dad looked like a military man, like a lot of my friends said, but those close to him knew he was not as strict as he looked. For not a day in my life was I frightened of my dad or scared to tell him what I thought or felt. 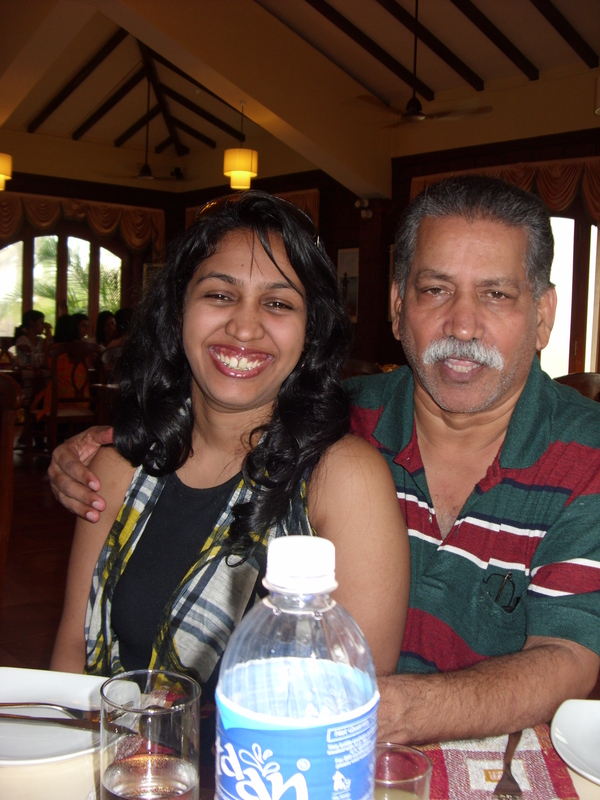 I always knew that no matter what, I was Daddy’s little girl and he would do anything for me – even if it meant buying dozens and dozens of mangoes just to see me eat it happily for breakfast for the summer. I never realized it would be our last summer together and the last time he would buy them for me. My great passion for food is another trait I have got from my dad. He believed greatly in the high life and good food. Escalopes, ham, goa sausages, and a number of sweets, chocolates, cakes are just few of the favourite foods we have in common. My love for fine dining will always be dear to my heart ‘cos my Dada introduced me to it. Dada, I would just like to say bye and give you a hug one last time and tell you, I will always be your little princess. I love you and I’ll miss you.